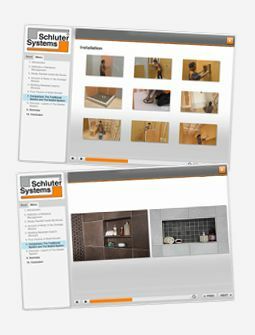 This commercial space is designed by architects, for architects, and showcases an array of Schluter products, for both function and design. Featuring on-trend large format tiles in classic greys and neutral tones, this sophisticated gallery area is supported with BEKOTEC, a lightweight modular-screed system. The walls of this area are clad with large-format tiles, mitred beautifully to give the impression of stone slabs. 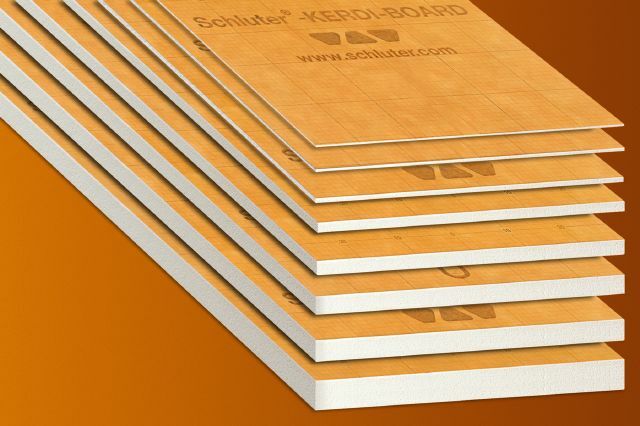 KERDI-BOARD provides the perfect substrate to underlay and support the installation. At the rear of the building, three shipping containers have been combined to form additional showroom and meeting spaces, and installed with DITRA-HEAT for an additional touch of luxury. The terrace upon which it sits makes use of DITRA-DRAIN, providing effective drainage and uncoupling for another stretch of large-format tiles. A mixture of tile colors, textures, and shapes create a complimentary canvas for the natural foliage within the outdoor courtyard. 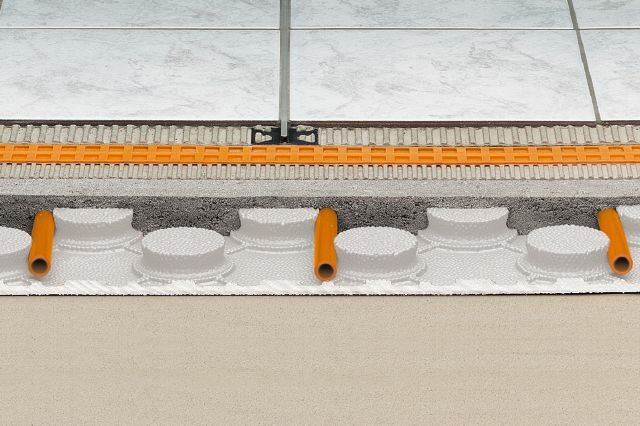 The shower area showcases various products from the Schluter®-Shower System, including niches, shower trays, and KERDI-BOARD wall substrate, to form a fully-waterproof installation. Multiple KERDI-LINE linear drains create a sleek, unmarred, curbless shower. Elegant profiles decorate and finish the wall covering, perfectly dividing the muted-tones of the expansive tile. DITRA-HEAT is featured throughout this space to bring warmth and comfort into the relaxation area of the office, creating a welcoming work environment for both productivity and socialization.